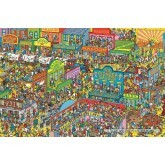 Where is Wally There are 5 products. A 1000 pieces jigsaw puzzle made by Jumbo (reference 17250). Size: 68 x 49 cm (= 26.8 x 19.3 inch). Special series: Where is Wally. In stock and ready to ship out. Once the puzzle is finished, have fun trying to find the 5 persons and objects! A 500 pieces jigsaw puzzle made by Jumbo (reference 17251). Size: 49 x 35 cm (= 19.3 x 13.8 inch). 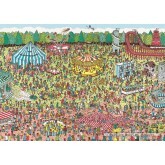 Special series: Where is Wally. 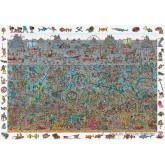 A 300 pieces jigsaw puzzle made by Jumbo (reference 17249). Size: 50 x 35 cm (= 19.7 x 13.8 inch). 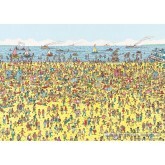 Special series: Where is Wally. In stock and ready to ship out.